It’s that time of year again, wedding season! Every bride wants to look stunning on her wedding day. After all, you’re the centre of attention and you want amazing photographs, because you’ll have them for a lifetime. You should aim to look like a more radiant and polished version of yourself, but at the same time, wedding makeup needs to last for hours and it needs to stand out on photos. 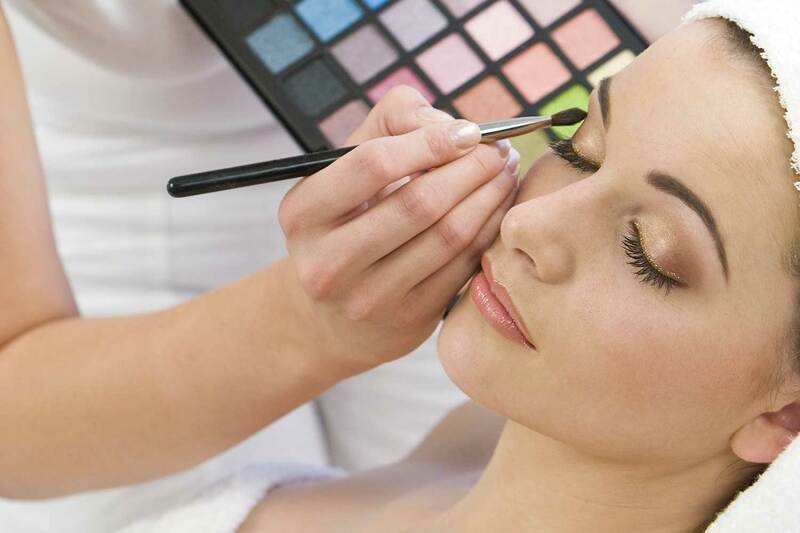 Whether you are having your makeup professionally done or you are doing it yourself, follow these tips for perfect bridal makeup on your big day. Don’t start using new products or having facials the week before your wedding in case any breakouts or sensitivities occur. Start a skincare routine a few months before your big day. Cleansing removes dirt, excess oil and bacteria from your skin which will help to keep your pores nice and clear. Use a toner to remove any residue from the cleanser, but avoid using anything too harsh which can strip your skin of its natural oils. Exfoliation gets rid of any dead skin cells which can clog the pores and cause breakouts. Use a facial scrub either once per week if you have dry skin, or twice per week if your skin is prone to oiliness or breakouts. Whatever your skin type, use a moisturiser to hydrate your skin. If you have oilier skin, try a light, water-based moisturiser. Remember to hydrate from the inside too by drinking plenty of water. This is one of the best things you can do for healthy skin. If a more natural look is your thing, don’t ask for bold makeup, because the chances are you won’t like it. Plus, the bolder the makeup, the more retouching it will need. Go with what makes you look and feel amazing, because you still want your groom to recognise you at the altar! Flash photography is an issue most brides have to deal with. But while it’s true that make up generally needs to be stronger for the camera, it doesn’t need to be caked on. Instead, focus on adding definition around the eyes, lips, and the brow bone. Make sure you have some colour on your cheeks too so you don’t look washed out on photos. Your wedding day is a long day, and so your makeup will have to work extra hard, and last through nervous sweats, tears, and outbreaks of shine. So you need a good quality foundation. Apply a primer underneath to make your foundation last and to create a smooth base for your makeup. For a flawless finish, use a foundation brush and blend it with a sponge. When choosing a foundation, be sure to test it in natural lighting. Apply some to your jawline and blend it in. The right shade will disappear into the skin. Don’t check the shade on the skin of your hand as it is almost always a different colour from your face. There are many different types of foundation, so choose one which best provides the coverage you need. Liquid foundation generally gives a light coverage. If you are opting for liquid foundation, look for one with a slightly matte finish so you don’t look shiny in your photos. If you want more coverage, cream to powder foundations are a good choice. Apply a concealer over your eye lids and under your eyes to keep your eyes looking fresh. Apply concealer after your foundation so you won’t wipe it off when you put your foundation on. Set your foundation and concealer with a loose powder, which will banish shine and make your base last. Keep a compact powder handy to touch up any areas that get shiny through the day. If you are thinking about getting a spray tan done for your wedding day, make sure that your foundation and powder match your tanned skin, or your face will look too pale on your photos. Add shape and colour to your face with blusher. A cream blusher is good for a dewy look, but a powder blusher is longer lasting in general. Concentrate the colour on the apple of your cheeks for a healthy glow. Shaping and defining your eyebrows can have a dramatic lifting effect on your face, and good eye makeup adds definition to the eyes and enhances your eye colour. A smoky eye can look glamorous, and it doesn’t have to be in a dark colour to look effective either. And the most important point about your eye makeup; wear waterproof mascara! If you have thin lips, use a lighter shade of lipstick. Don’t underestimate how strategic application of lip liner and gloss can give the illusion of a fuller pout. Ask your bridesmaids to keep some key makeup items for you, like a compact powder and lip gloss, so you can touch up your makeup throughout the day. Our 1-day cosmetic makeup course is the perfect way to learn professional makeup application techniques, skin care tips, and how to create different looks for your clients to make them look and feel amazing. It covers day to evening makeup, corrective makeup, and bridal makeup, so you will be well equipped to make any bride look beautiful on her wedding day. So many people come to do their beauty therapy training with me, and they lack confidence. They really want to be a skilled beauty therapist, but for whatever reason, they don’t believe that they can do it. Well I’m here to tell you that you can! I wanted to write this blog to share the story of how I put aside all the knock-backs and started following my dream, to have a career in beauty therapy. I remember knowing that I wanted to be a beauty therapist way back when I was just 12 years old. A teacher asked me what I wanted to be when I grew up, and without hesitation, I replied ‘a beautician’ (even though it turns out that I now hate this name!) I also added that I wanted to work on cruise liners. This was ambitious to say the least, for the little girl who grew up in Ashington. I don’t even recall my parents having a car, so how I was going to work my way up to a cruise liner, I have no idea! When I started high school, I still knew I wanted to do beauty therapy. Back in 1995, I was 15 years old, and I remember visiting the school careers advisor, who asked me questions like ‘are you confident with people?’ I replied no; I mean, how many people are at that age? As he fed my responses into the computer and handed me a printout stating I wasn’t cut out for that career, based on my answers, I was crushed. But I decided that I wouldn’t let what the computer said put me off. I enrolled at college, and I couldn’t wait to start my beauty therapy career. The tutor who conducted my enrolment interview warned me that it could involve long hours and very little pay, but it didn’t put me off. Everyone has to start somewhere, and I just couldn’t wait to start doing beauty treatments on clients! From zero confidence to student of the year! Before I knew it, my school days were gone, I was at college, and living the beauty therapy dream…or not. I hated it! I hated it because I had zero confidence in what I was doing and I felt like I lacked the skills to do manicures, pedicures, waxing, and makeup. I was struggling. Looking back, I realised that it was the tutors that make the difference to how you learn and how you feel about what you’re learning. They either instil you with confidence or they don’t. I wanted to be the best that I could be, but my inner critic was telling me that I just wasn’t good enough. I struggled my way through my first year of training, but I felt more confident and at ease in my second year. I trained in Electrolysis, and I took extra time to complete this as I lacked confidence that I was doing it right. It took me 3 years to finish my beauty training. But you know what? I stuck at it, and my grit and determination led to me being named as Student of the Year! I was delighted and so proud. Steiner came to my college to interview beauty therapists who would potentially be working on their cruise liners. This was my big chance of getting my dream job, and I passed the interview with flying colours. But I didn’t accept the job. Why, you might ask? Well, I was in a relationship at the time, and didn’t want to leave. Young love never did make any sense! In 1999, I went on to work at Linden Hall Hotel and Spa and I absolutely loved it. I remember thinking that there’s nothing better than getting paid for what you love doing. I spent my days using my skills, pampering clients with massages, facials, manicures, and pedicures, and my confidence grew. Training can only teach you so much, everyone develops their own ways of working when they start working with clients. I left my job at Linden Hall as I couldn’t drive, and relying on lifts wasn’t the ideal way to get to work. So, I went on to work in a salon. I worked there for 3 years, and I gained so much experience during that time. 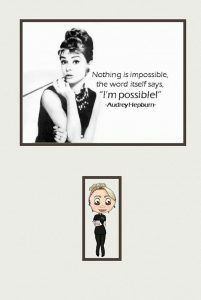 I had a really inspirational boss; little did I know that this would set me up for self-employment in the future! After a long-term relationship ended, I felt like it was the time to think about working on cruise ships like I had always wanted. A good friend I had worked with at Linden Hall gave me the details of a contact at Judith Jackson Sea Spas. This was my chance! I got the job and travelled all over the world to some dream locations; the Caribbean, America, Canada, the Bahamas, Bermuda, Mexico, and Jamaica to name but a few! The dream I had from when I was 12 years old had come true! I will continue my career saga soon, but the reason I wrote this blog is that I want to get the message across that if you have dreams, and you’re willing to show commitment, and persevere, even when the going gets tough, you will find that anything is possible! In the summer, we all have more skin on show, but if the thought of baring your skin fills you with dread, you need to prioritise getting your skin summer ready and that involves having a smart skincare routine and undoing any neglect from the winter. We all love the warmer weather, but it brings with it a whole new set of skincare challenges. Pores can get clogged from sweating and the skin produces more oil, which leads to breakouts. And then there’s the dreaded sunburn. Cleansing is the first step in any skincare routine, and as you will more than likely find that your skin is oilier in summer, you should switch to a gel or foaming cleanser. Cleanse twice daily and follow it up with a good toner. Don’t over cleanse though, even if your skin feels oily, as this will strip your skin of its natural oils and the glands will only produce more oil! Whatever your skin type, you should always moisturise. Use an appropriate moisturiser for your skin type, and in the summer, think about switching to a light water-based moisturiser. If you have a problem with acne or general breakouts, look for a moisturiser with ‘non-comedogenic’ on the label, which means that it won’t clog pores. Using a sunscreen and moisturiser with SPF is important year-round but it’s extra important in summer as you will most likely be spending more time outside, and the sun’s rays are far stronger. Choose a broad-spectrum sunscreen with a sun protection factor (SPF) of at least 30. Apply it 20- 30 minutes before going outside. Reapply it every 2 hours, and more often if you are sweating a lot or swimming. Exfoliating can help to buff away dead, sun damaged skin cells. Choose a gentle scrub for the face, and use it once per week if you have dry skin, and twice per week if your skin is oilier. Gel face masks will boost hydration but they won’t leave skin oily, and they are also great at soothing sunburn if they contain ingredients like aloe. This is the key to super soft skin. If you don’t buff away dead skin it can look dull and dry. So hit the shower, take a handful of a good body scrub and massage it into your skin in a circular motion, concentrating on the bits where skin tends to be rougher, like the knees and elbows. Use a scrub 2-3 times per week. Forget the thick body butters and invest in a light summery scented lotion, which will absorb quickly. Moisturise as soon as you get out of the shower to seal in moisture. If you read my last blog, you’ll be an expert on how to get the perfect spray tan by now! But a sunless tan is the only way to get glowing skin without the risk of burning or getting skin cancer. Gradual self-tans are another good choice, and they have the added benefit of hydrating your skin too. Just remember that spray tans and self-tans don’t contain SPF, so they won’t protect your skin from the sun. If you haven’t as much as looked at your feet since the winter, it’s time to assess the damage. 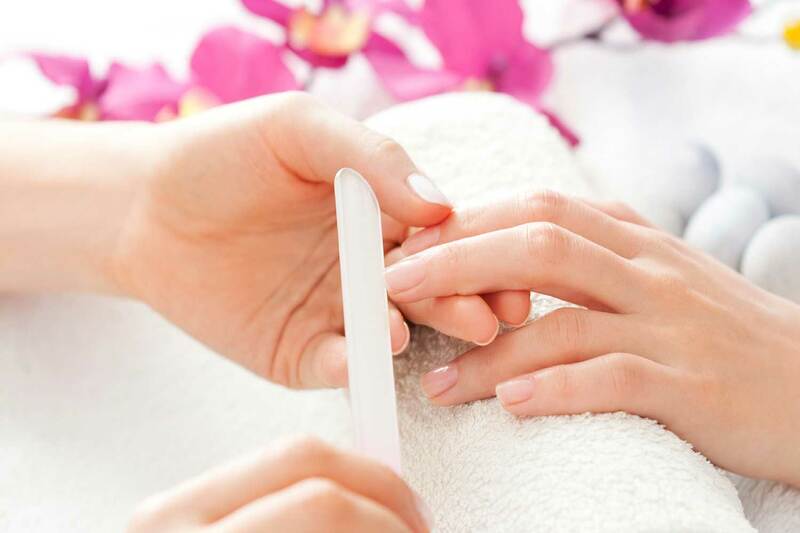 Use a foot scrub or foot file to get rid of any hard skin, then choose a bold nail varnish. You can generally get away with brighter colours on your toenails, and polish tends to last longer. Apply a base coat, 2 coats of your nail colour, then a top coat to protect the colour and add shine. When your nails are dry, slather on a rich moisturiser. For extra soft feet when you wake up, moisturise before bed, and pop a pair of socks on. To learn how to treat a client’s feet the professional way, have a look at our pedicure course. The best way to nourish your skin is from the inside, so take advantage of the warmer weather, and fill up on fruit and salads which are packed with antioxidants and vitamins for healthy skin. And don’t forget to stay hydrated. Drink plenty of water and your skin will thank you! Knowing how to help a client to look and feel their best is the most important part of a therapist’s job. If you want to help clients to look and feel amazing, and build up your skills, why not consider doing our 6 Day Beauty Specialist Diploma, which covers beauty treatments from head to toe?